SanDisk announced a significant enhancement to its line of award-winning Cruzer Micro and Cruzer Titanium USB flash drives. The two models feature a sleek new design and include software that turns them into 'U3 smart drives' so users can access their "personal workspace", software programs, personal preferences, personal files and data as well as the means for managing them within a highly secure environment, on any personal computer running Microsoft Windows XP or Windows 2000. The new Cruzer models were unveiled at the Consumer Electronics Show (CES). The Cruzer Micro will be available in capacities that range from 512MB to 4GB, while capacities for the Cruzer Titanium will be 1GB and 2GB. SanDisk Cruzer USB drive - U3 software - "The Cruzer Micro and Titanium raise the bar for USB flash drives," said Carlos Gonzalez, senior director of SanDisk's USB flash drive business unit. "These new drives offer a higher level of freedom and flexibility because they allow you to carry U3-compliant programs and content together on a single U3 smart drive and access them on most Windows-based PCs. The ability to bring your personal workspace with you is very convenient and a great way to boost your productivity when you're on the go." SanDisk Cruzer micro drive - Portable storage - The new Cruzers are small, 1.875 x 0.75 inches (4.76 cm x 1.91 cm) and easily fit on a keychain. Each features a retractable USB port for protection from dust and damage. The Cruzer Micro easily slips into a pocket or purse or can be worn around the neck with the included lanyard. With capacities of up to 4GB, it can hold the equivalent up to five data CDs, the equivalent of approximately 2,800 floppy disks, or hours of digital music, video or other personal data. SanDisk Cruzer Titanium - Durable and Speed - The Cruzer Titanium USB flash drive combines high performance with extreme ruggedness and durability. It has read and write speeds of 15MB/second, among the fastest available, for speedy data transfers of large files. To physically protect the valuable data of business and power users, its high-strength case is mechanically crush-proof to more than 2000 pounds. It is manufactured with an advanced titanium alloy from Liquidmetal Technologies that is pound-for-pound stronger than steel. The light weight, superior strength, hardness, high corrosion and wear resistance of this unique alloy make it ideal for the Cruzer Titanium. U3 Smart - Security software - U3 Technology. U3 is a powerful new platform that offers a private, securely protected experience on any PC with Microsoft Windows XP or 2000. These smart drives will be able to launch a variety of U3-compatible (called "U3 Smart") software programs, including anti-virus, security, synchronization, communications, audio, video, gaming and photo-editing, to name a few. 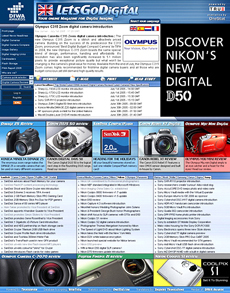 The catalog of U3-compatible software is growing quickly. 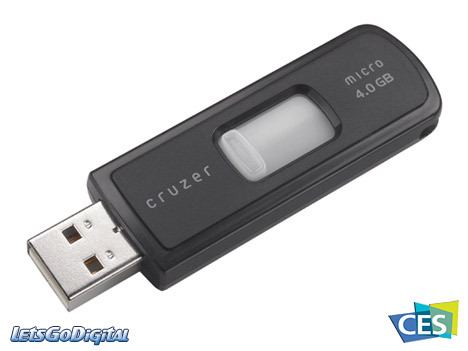 SanDisk Cruzer USB flash drive - Windows and Macintosh - The Cruzer Micro and Titanium are "plug-and-play" with PCs and the Macintosh due to USB Mass Storage Class (MSC) compliance when used with Windows XP, Windows 2000, Windows ME, Mac OS 10.1.2+ and Mac OS 9.2.1+.